With more than 20+ years diving experience from the Caribbean to the Great Barrier Reef, my favorite diving is still the freshwater of the Great Lakes and St. Lawrence River. This area has some of the most preserved historical shipwrecks in the world. Recently, I have focused my diving on photography. Most of these pictures are shipwrecks in my area (Great Lakes and St. Lawrence River). 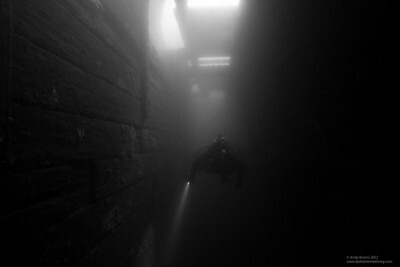 The conditions are freshwater, (sometimes) cold, and depths from 25 to 100+ feet. You can view my gallery here or check out the slideshow below. If you have any questions/comments about my photos please feel free to contact me. Click on the photo to see more of the Lost Villages. The following are a couple of videos taken during the Save Ontario Shipwrecks recovery of an anchor in Brockville.